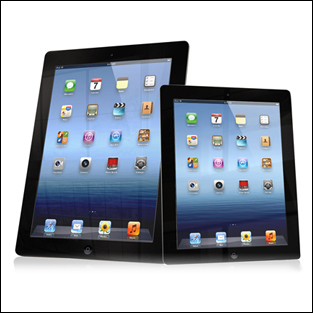 As reported last week, the iPad’s market expansion is showing no signs of slowing down. Apple’s tablet now accounts for 69% of all tablet sales globally, and a large portion of this growth is down to enterprise adoption. Businesses are starting to realise the potential that tablets offer in terms of productivity. So if you’ve just bought an iPad and you’re looking for some killer apps for the workplace, what should you download? Here’s our top five business iPad apps. If you’re going to be working on your iPad then you’ll probably want an app that lets you take notes. There are absolutely loads of note taking applications out there, and everyone has their favourite. Strong contenders include Evernote and Note Taker HD. But my preferred choice is Catch, a relative newcomer. Catch keeps things very simple and lets you organise your notes into handy ‘streams’, which are a bit like Twitter hashtags. Once you’ve joted down your thoughts you can email them directly to yourself, send them to Drop Box, or simply access them and edit them via Catch’s desktop site. While a note taking app is essential for getting your ideas onto the screen, you might want an app that’s more conducive to brainstorming and diagram construction. Again, there are a few brainstorming apps on the App Store, but I think Mindnode is probably the best. The app is specifically designed for capturing ideas and notes during meetings, and while researching, so it has a super quick interface, and allows you to arrange your thoughts or let the system arrange them automatically. You can then export your mindmap diagrams as text outlines or PNG image files. The only downside to Mindnode is the cost – £6.99. If you’re a freelancer or you run a small business then you’ll have a whole load of invoices to deal with. Obviously, you probably don’t want to do all of this on a mobile app, which is where Billings Touch comes into play. Billings is widely-used invoicing application for Mac desktops, and its iOS version integrates very well with the desktop version. Billings is essentially a one-stop-shop for all your invoicing and payment needs. The app lets you create and organise invoices in a number of different currencies and it integrates with a very handy time tracker that lets you know how much you’re owed. If you do a great deal of writing and want an app that goes beyond simple note taking, such as Catch or Evernote, then IA Writer is the best choice out there. IA Writer is essentially a wordprocessor for the iPad. The app makes a number of improvements to the iPad’s keyboard to ensure speedier writing and lets you sync your documents to DropBox, iCloud and your Mac. The app has won some serious plaudits from publications like the Guardian and even from actor, and Apple enthusiast, Stephen Fry. Bento is a powerful app that lets you create pretty much any kind of database you can think of, such as an inventory checker, a customer database, or a handy system to store invoices. If you run a small-to-medium sized enterprise, or if you’re a freelancer, than an app like Bento can really help you stay on top of things. Bento also has a slightly more powerful and in-depth version called Filemaker, which you may want to check out, but in our experience Bento usually does the trick. To learn more about our mobile & tablet app development services, click here.